My husband has been fascinated with aviation since he was a small boy. He has always wanted to fly some kind of aircraft, and he has plans to eventually get his Sport Pilot license and build his own light sport airplane. Due to this interest, we have watched a lot of videos about flying, including a series of docu-dramas about plane crashes and what caused them. One of the most memorable of these shows, for me, at least, was one about an airplane that got stuck in a holding pattern outside a busy airport and ran out of fuel before it was able to safely land. Talk about scary! Thankfully, that kind of accident is extremely rare, and flying is actually safer than getting in your car and driving down the highway. 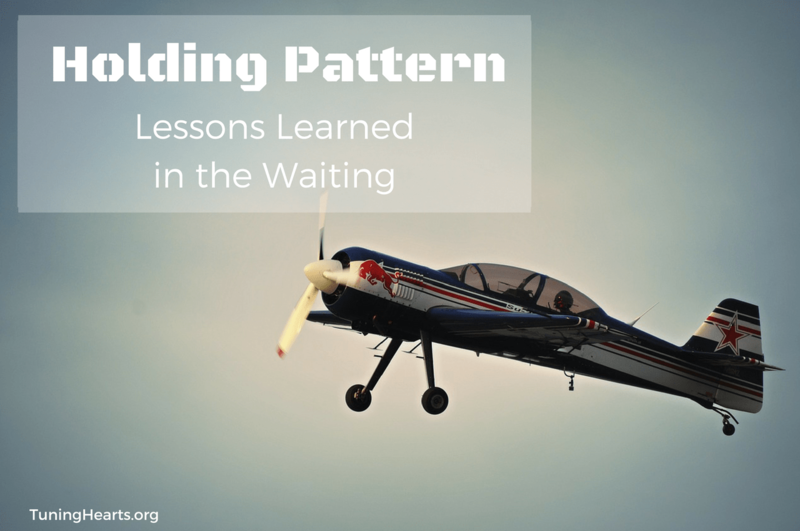 Even so, anyone who has ever been near the end of a long flight and heard the pilot announce that your flight was being placed in a holding pattern, knows how frustrating that situation is. You have already been waiting a long time to get to your destination, cramped into a tight space in an uncomfortable position, and you just want to get landed and be there already. And if you have a connecting flight to catch shortly after landing, your mind starts racing trying to figure out how in the world you will ever make it in time! For our family this time of transition has felt a lot like being in a holding pattern. We know our destination, and we are so ready to land and stretch our legs, but we can’t just yet. Some days it feels really frustrating. Some days we are worried that our fuel level is getting too low. And some days storms threaten to confuse us and steer us off course. But like a pilot who has been well-trained to rely on his instruments and trust the air-traffic controller to guide him in to a safe landing, we are having to trust the Lord’s timing and keep our focus on His Word. Did you know that in stormy or cloudy weather, a pilot can completely lose his sense of direction, even confusing which way is up or down? Without his instrument panel to tell him his altitude and attitude, a pilot could steer the aircraft right into a tailspin or lift the nose too high and cause the plane to stall. If he cannot see the land and the sky, he has to rely on those instrument readings fully, even if his body or brain tell him something different. The same is true for us when we get our eyes off of Christ and His Word. Looking at our situation or at the world can blur our spirtuak vision so much that we do not know which way is up. We lose our spirtual sense of direction. So when times are dark and stormy, we must, more than ever, keep our eyes on Jesus and stay in the Scriptures daily. Our very lives depend on it. And just as the air traffic controller has a view of all the craft in his airspace, when the pilot can only see what is directly ahead a short distance, God has a wide view of our situation. He knows if something is in the way that needs to move before we can reach the nest step on our journey, so He holds us back just a little longer for our safety. We might be tempted to step out on our own because we can’t see far enough ahead, but we must not. If we will wait on His timing, our good, good Father will safely guide us to our destination at just the right time, in just the right way. And it will be so much better than if we had tried to do things our own way. If you are in the middle of a storm, a time of testing, or a long holding pattern, I encourage you to get in God’s Word, to trust His timing and His ways and not become discouraged. He will bring you safely home! Welcome to Part 2 of my Homeschool Basics series, “How We Homeschool.” If you missed Part 1, “Why We Homeschool,” you can go back and read that post now, then head on back here when you are finished! I cannot tell you how many times I tried to start writing this post. The theme seemed simple enough. I just wanted to write about what style or method we are currently using in our homeschool. But for some reason I kept trying to come at it from the angle of retelling our journey and how we got where we are today, and that was just not working. But I still do want to tell that story, just some other time. So, without further ado, let’s dive in to how our family is home educating! We are human beings, persons, created to live. To have life more abundantly. Wonder together; grow together. Together share the struggles of knowing we cannot perfectly follow God’s law. We are fellow pilgrims. We walk side by side as human beings under the love and authority of Him who made us. If you are familiar with the book For the Children’s Sake, you may have already guessed our preferred approach to homeschool. In it, Susan Schaeffer Macaulay discusses her own family’s journey to finding the Charlotte Mason method of education for their children. And that is the method we have chosen as well. If you have not heard of Charlotte Mason before, she was a British educator, teacher trainer, and author in the late 1800s and early 1900s. Miss Mason looked at the trends of the education system at the time and felt that they were not truly meeting the needs or the abilities of student, nor their God-given human nature. So she set out to craft a philosophy and methods based on both classical and modern insights. She then trained parents and teachers to use these ideas and methods with the children under their own tutelage. With the advent of the internet, Charlotte Mason’s own writing as well as several curricula are now readily available to today’s homeschool families as well! The emphasis on valuing the relationships and persons in the home classroom, not just the academic material. The basis of texts called “living books” and hands on materials forming the curriculum rather than textbooks or workbooks. The centrality of the fine arts (music, visual arts, poetry and plays) as parts of the curriculum rather than extra-curriculars. The importance of nature study and time outdoors observing and interacting with creation as a foundation for the sciences. Miss Mason’s ideas were both rooted in her understanding of classical education from the Greeks and Romans to Medieval times, as well as forward thinking using the latest theories in child development. When I look at the list above, it makes me chuckle because Mason was a huge proponent of a “multi-sensory” approach to learning before that was even a buzzword! If you are interested in learning more about the Charlotte Mason method and her philosophy of education, there are a few great online resources you should check out. AmblesideOnline.org: This fabulous (and free!) 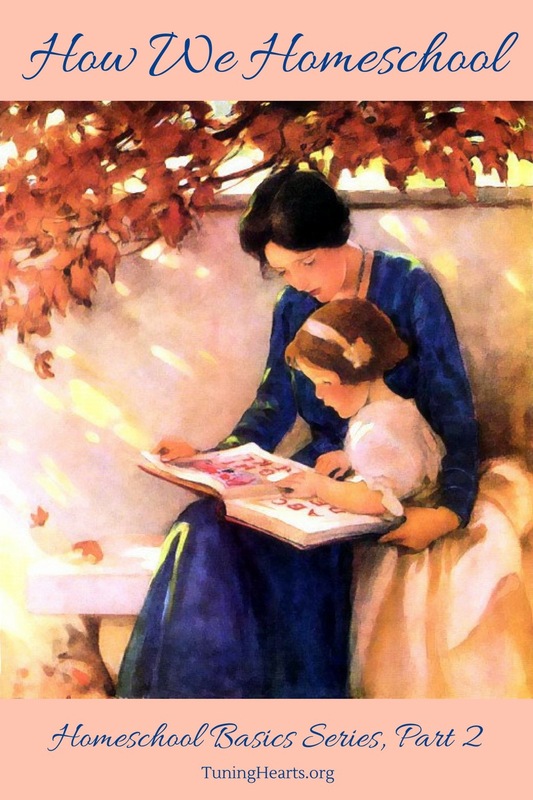 website has not only the full text of Mason’s 6 volumes (her books on education) available to read online, as well as modern paraphrases of each, but also a vast number of articles published by her magazine “The Parents Review.” Even more than that, AmblesideOnline has a complete curriculum for FREE online! This is the curriculum we have been using over the past year, and I absolutely love it. Another great resource is the AmblesideOnline forum, where you can ask questions and have discussions with other AO parents, including the amazing women who created the curriculum in the first place. I really cannot say enough good things about AO! Charlotte Mason Institute: CMI seeks to promote education about Charlotte Mason and her principles to people all over the world. They host conference and retreats, have an informational blog and also have a new curriculum for sale. Although I personally have not used many resources offered by CMI, I know many homeschool families find it to be a help. Simply Charlotte Mason: Another great place to find not only information about Charlotte Mason education, but also curriculum for sale, as well as a discussion forum for parents using their curriculum. Charlotte Mason in Community: This is a little different than the previous 3 resources in that it is no much a place to get information, but rather a place to find other CM families in your local area. Whether you are looking for a nature group, book study group, or just a group to get together and chat with while your kids play at the park, this is one of the first place to check and see if there is a CM community established near you! Those are just the beginning of the wealth of knowledge that is out there for those of us trying to incorporate Mason’s principles into our homes and lives. Sometime I will probably write a post including my favorite podcasts, blogs and other places online to get inspiration for a classical, living books education at home. But I think that will be all for today. Thanks for joining me here at Tuning Hearts today! See you back here again next week for Part 3 of our Homeschool Basics Series all about how we schedule our year. In the mean time, I would love to hear from you about what style of homeschooling you follow! P.S.–There are now a couple of new printings of Miss Mason’s original volumes available for purchase! One is from Simply Charlotte Mason, and the other is available via Amazon, reprinted by Living Books Press. Read the next post in this series, Year-Round Schooling, here. Edited to add that try as I might to add more images to this post, it just was not working properly. My computer is being worked on today, and I can’t fix the problem without it. So enjoy the blackberry photo and just try to imagine the rest! We live in a very wooded area that has a few different wild fruits to be foraged throughout the summer and fall months. Throughout the 9 years we have lived here, only a few years I have picked wild blackberries. 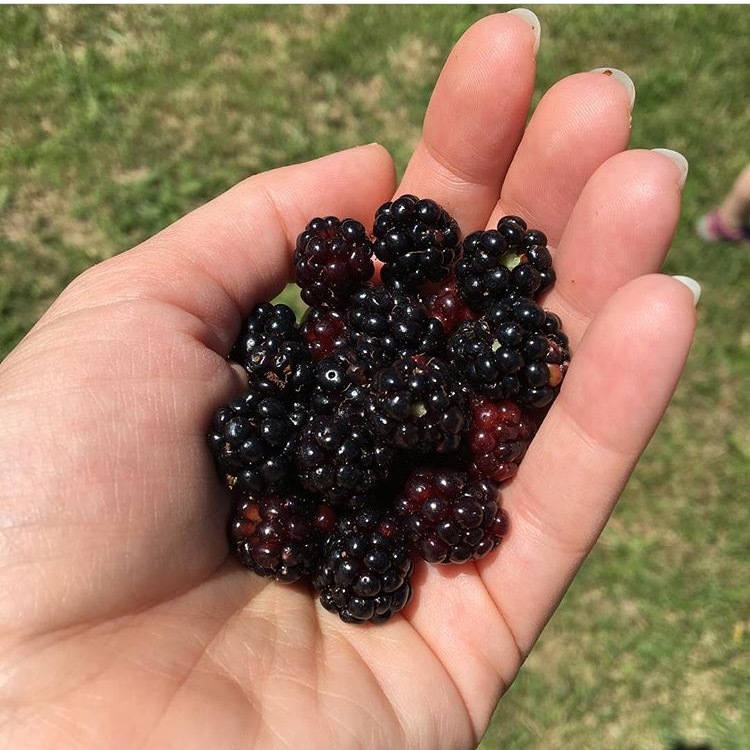 Our first summer I dove into the woods and went all out picking berries, but I paid for my enthusiasm with heat exhaustion, cuts from the blackberry ad wild rose thorns, heart palpitations from suddenly coming upon way too may spiders, and lots and lots of chigger bites. I have not been quite as excited about berry pickig recently, especially since havig kids. This year however I noticed that for whatever reason, there were a lot more patches of blackberry bramble along the edges of the road and woods, much easier to get to without as many hazards. So this year I have picked a little over one quart of berries. Free food is always awesome, but there is something about foraging that really satisfies me. I know this seams sort of trivial, but I have been trying to balance my need for some kind of product to reign in my crazy curls without much residue and is more natural. I recently found out that the spray gel I was using (but did not really love) was actually really high on the toxic scale according to the “Think Dirty” app. Not loving the product + not wantig to keep puttig nasty chemicals on my hair = motivation to find a new product! So, after browsing a while at our local Walmart, I found Shea Moisture products and bought this Coconut Hibiscus Curl Enhancing Smoothie. (That’s an affiliate link, just FYI!) It was more expensive than what I would usually buy, but since a very tiny dab goes a long way, I think it will last longer anyway. I like that it leaves my hair soft and free of frizz without being sticky or stiff. And it rinses out really well, too! I only actually wash my hair with shampoo once a week, so this is important to me! With his new job starting up, my husband has had a little time working from home for a couple of weeks before he starts doing weekly commutes to the Nashville area until we get our Illinois house sold. I am thankful to have him here for some extra family time before I have to “single mom” it during the week! I sure hope we can get this house sold soon so we can all move and not have to live apart for too many weeks! Ok, so here’s a surprising one for anybody who has known me for a while. I had never really been a coffee drinker before I had our daughter. I have a cup of hot British blend Tetley tea with cream every morning before breakfast, and I used to have a second cup of some sort of tea in the afternoon, as well. Occasionally, I might splurge on a dessert coffee, like a peppermint mocha from Starbucks. Those things are mostly sugar and milk and whipped topping, after all! But when I was pregnant with Little Miss, I suddenly started craving coffee. That was my first indication that this child was going to give me a run for my money! I still cannot drink straight black coffee or coffee without sweetener and a healthy dose of milk or cream. But this iced coffee recipe made from cold brew and sweetened with maple syrup? Well, let’s just say it has become something of a regular in my afternoon routine! That’s a little behind the scenes look at a few of things I am thankful for this week. What is making you smile today? Leave me a comment and let me know! These two questions are ones I have heard over and over recently, and I never know quite how to answer them. You see, we are in the midst of a move that has been a long time coming, and we still do not know just when we will all actually be in a new place. One day my husband and I had a conversation in which he told me that he sensed the Lord telling him it was time to prepare for change. He saw signs of things in his full-time job that did not bode well, and he started scanning job listings in his field and updating his resume. We began decluttering the house, fixing little things here and there, and even packing a few boxes of books and decor that were not needed for a while. And we waited. 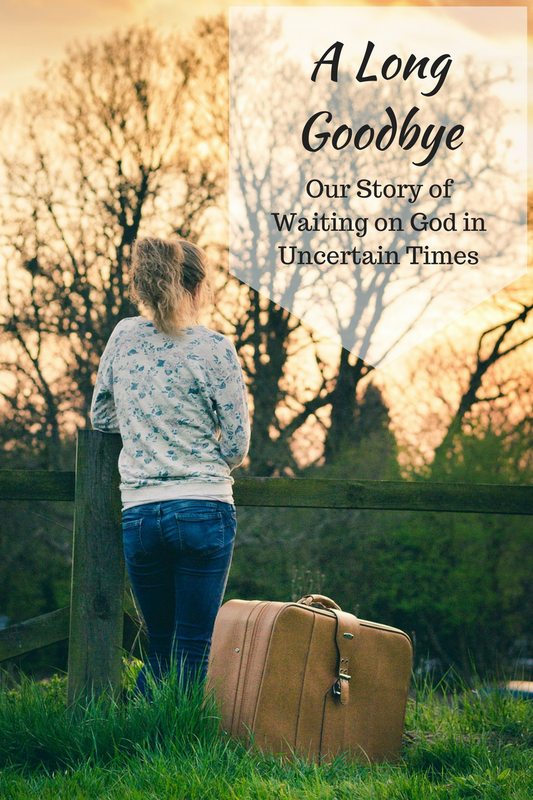 We knew the Lord had told us to get ready to move, but we had no idea where or when. That was over 18 months ago. We had already been in a period of transition already for 1 1/2 years before that due to leaving our previous church where my husband had been the music pastor for 6 years. We visited various churches in the area for a while, then stayed in a couple others for short amounts of time to do interim music ministry and rest. Finally, he started a part-time music position in a struggling church south of where we live, and we tried to settle in there, all the while knowing what God was telling us. You won’t be here long, child. But how long is not long on God’s time table, anyway? Usually, it is a bit longer than we would like, isn’t it? So we kept cleaning things and fixing things and packing things and tossing things we didn’t need. Paul kept applying for jobs and sending out resumes and working overtime. Nothing changed, but we trusted that when the time was right, God would move us right from one job to the other. But that was not quite the way everything worked out. Instead, 6 months ago, just a few days before Christmas, my husband came home without a full time job. Things had come to head at his workplace, and he decided it was time to resign. Without another job on the horizon, the weeks and months after that were a little stressful and sometimes discouraging. Money was tight, but, thankfully, we had savings and his income from the church. He was also blessed to get a part time job at the local Walmart. The hardest part was knowing that God had told us to prepare for something else, and not knowing what or when that something else would ever happen. But, as often happens, God provided in a way that we did not expect, and now we know, at least, the area to which we will move and what my husband will be doing! But there are still unknowns, like how long it will take to sell our house here, and whether or not we will get the rental we want when we do! But we are trusting God to take us through these uncertainties just as He has over the last 3 years! So, are we packed? Well, yes, as much as we can be until we have a moving date! And when will we move? Only the Lord knows that! But hopefully it will be soon, and we will be able to finish saying goodbye to Southern Illinois and start saying Hello to Middle Tennessee! Before my husband and I had children, I worked in a private fine arts preschool. The school used several different methods from a variety of early childhood education philosophies, one of which was the Montessori method. The children were taught from the day they started at our preschool how to take care of several self-care and classroom needs, like tidying up after their own messes and helping with classroom chores. Even though the children did not always do a very good job of sweeping up crumbs or wiping up spills, they were learning and being trained in these important habits. They knew that at school, at least, everything has a place, and it was everyone’s job to help keep our school looking neat and tidy. Years later when we had a child of our own, it became important to me and my husband to train him to learn to help do the same here at home. We are both naturally pretty organized people and do not like clutter. From the time my son was old enough to put his own toys away, we began teaching him to help clean up his playthings at the end of the day before getting ready for bed. As he grew older, we added more responsibilities to his daily self-care and family job routine. Last year, on his 6th birthday, we started paying our son weekly for helping with things around the house. This was in part because we felt it was time for him to start learning first hand about managing money, and partly as an incentive to be more a more helpful contributor to the family. I will admit we have not been as consistent or as proactive in teaching new skills as a lot of families may be. But I am not a Type A mom, and this is what works for our family right now. A lot of moms say they start teaching new chores over the summer when they don’t have a busy school schedule, and if we were not getting ready to move, we would probably do that now, too. But I am not starting any new routines until we get settled into a new house! We have done the same with our 2 year old daughter, teaching her to do as many things for herself as she can. Unlike her big brother, however, she is highly motivated and independent, so she actually wants to do more than she is able to at this point! I guess that is a good problem to have, though, most of the time! 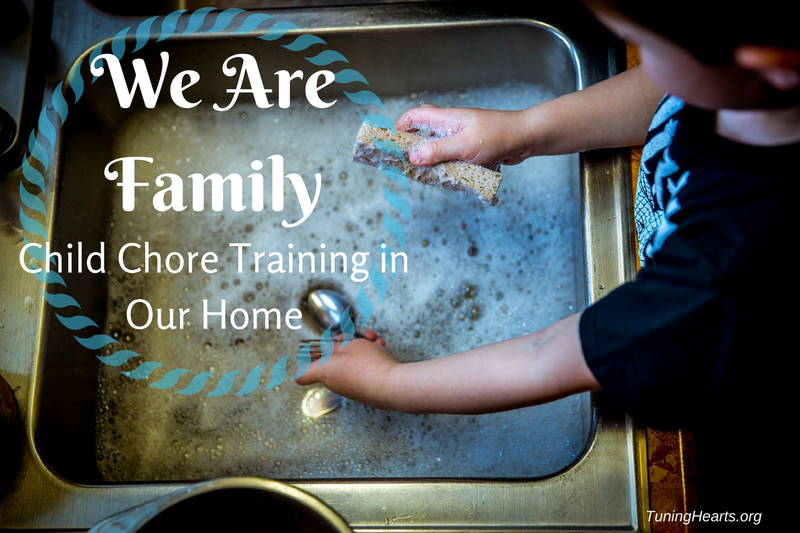 I have a few specific examples of what we do around here for kids’ chores, but I will share those in another post. I will also share how we do payment and divide up my son’s earnings each week. I hope you will come back for the next post in the series soon! So, talk to to me about chore training in your house. Do your kids help with housework? If so, what are their responsibilites? If not, do you wish they did?